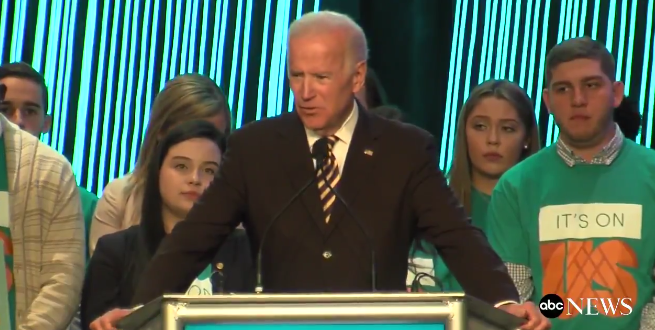 Biden Blasts Trump's Praise For Rob Porter: That's Like Saying An Axe Murderer Is A Great Painter [VIDEO] - Joe.My.God. Not a word, not even a thought for the women Porter is accused of physically and verbally abusing. What’s “sad” is having a complete moral vacuum in the Oval Office. Domestic violence is evil, and there aren’t “both sides” on this issue. Real leaders stand with survivors, not perpetrators.